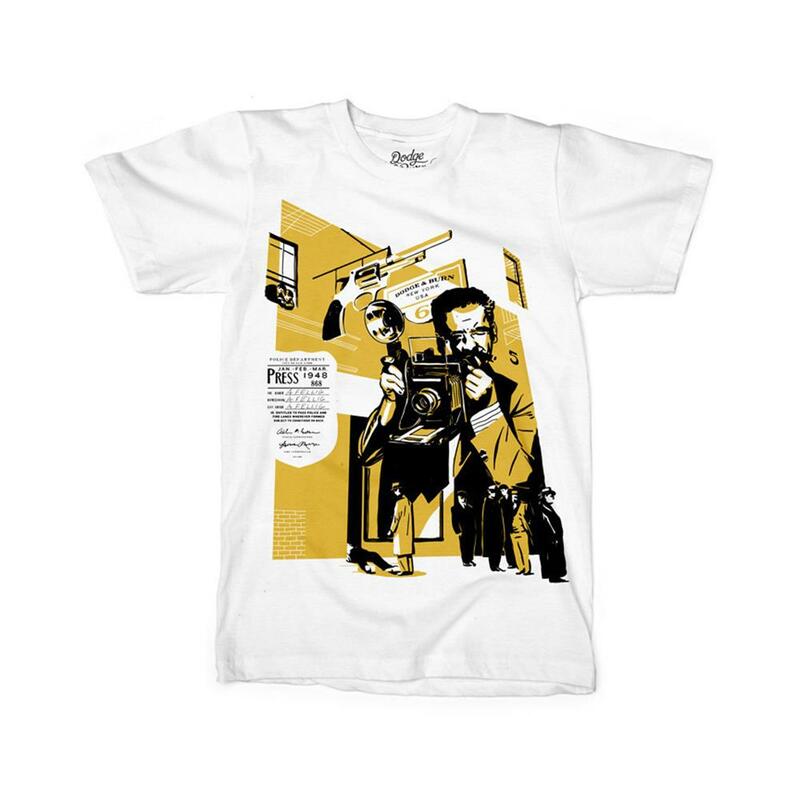 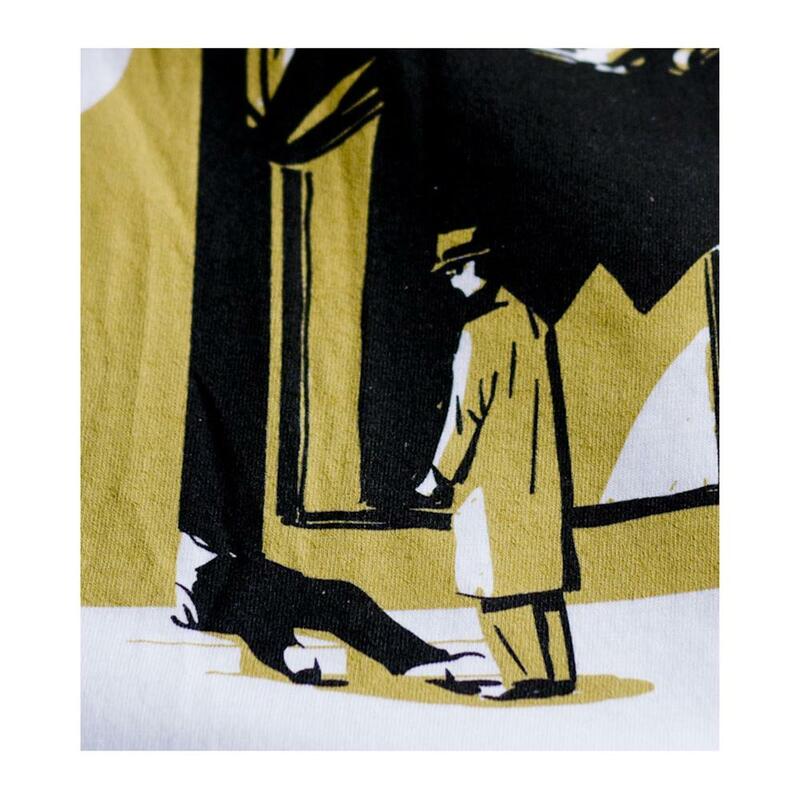 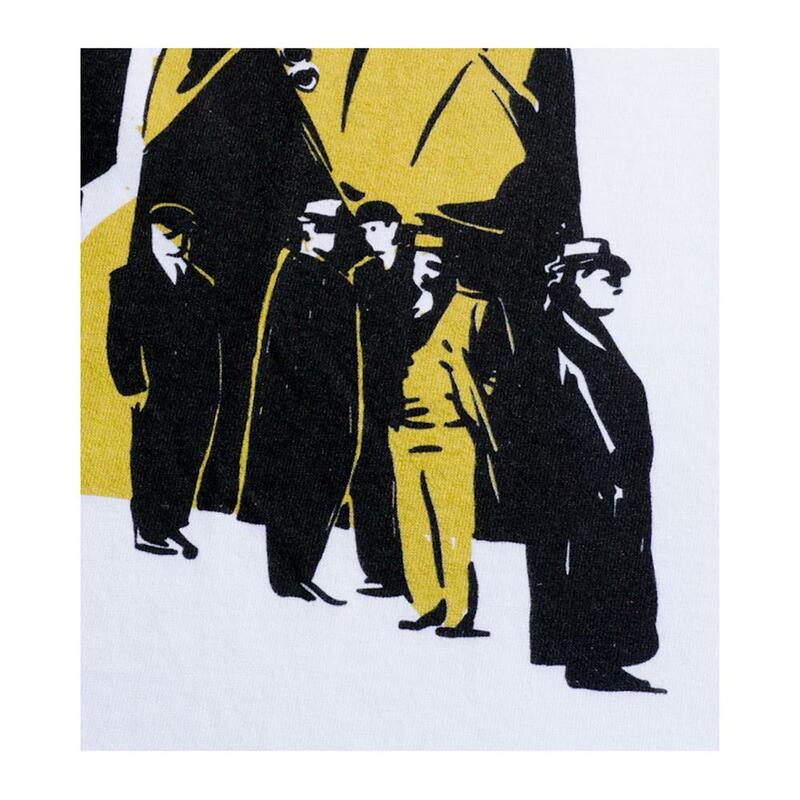 This design pays homage to Arthur Fellig aka "Weegee", the great American press photographer best known for his stark coverage of New York City crime scenes during the 1930s. 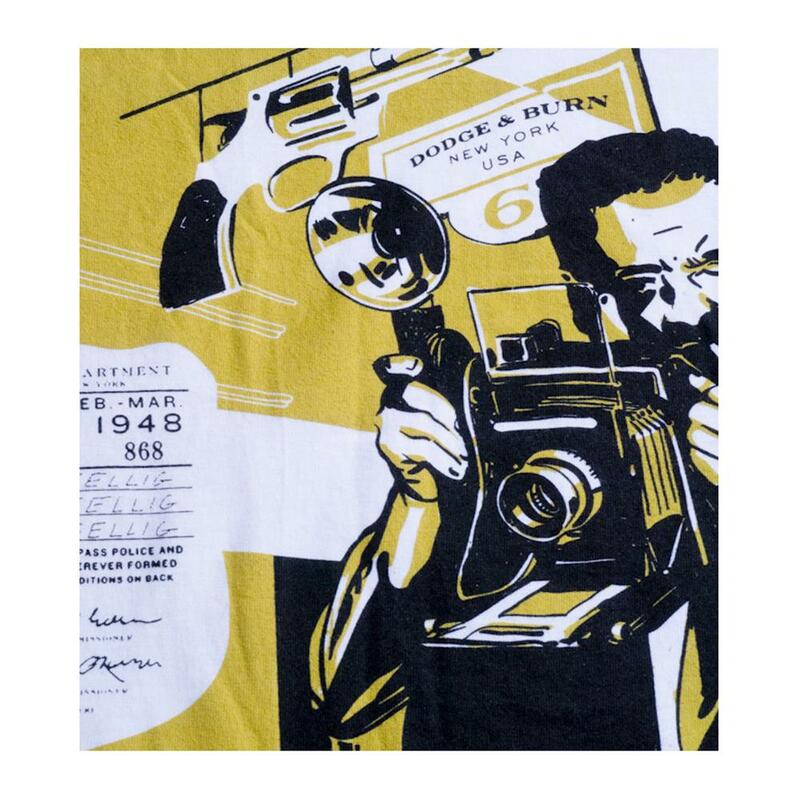 Weegee is shown in action with his trademark Speed Graphic camera, his press badge as well as elements of his most iconic images. 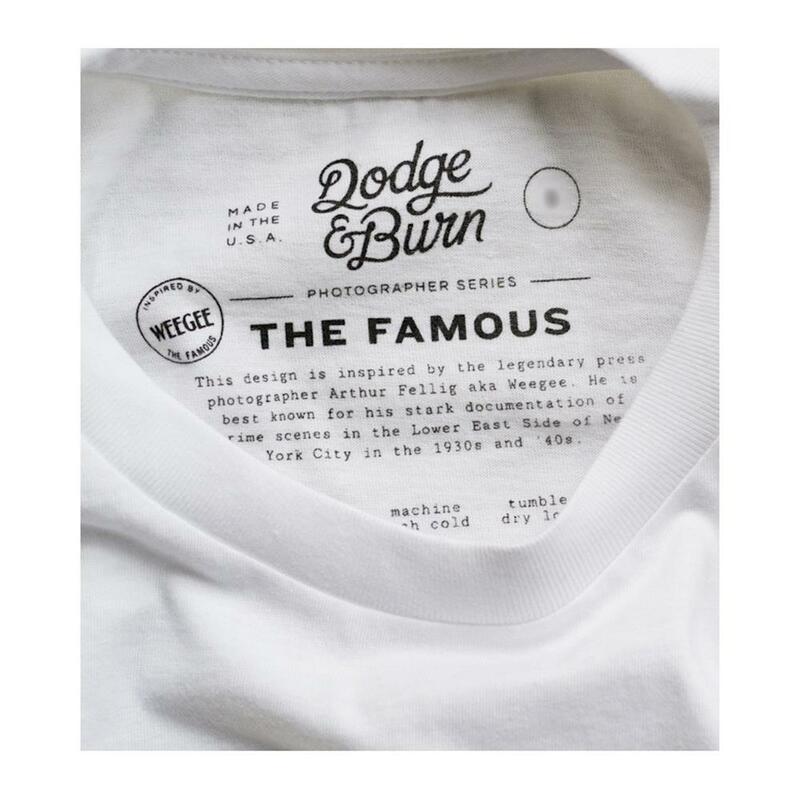 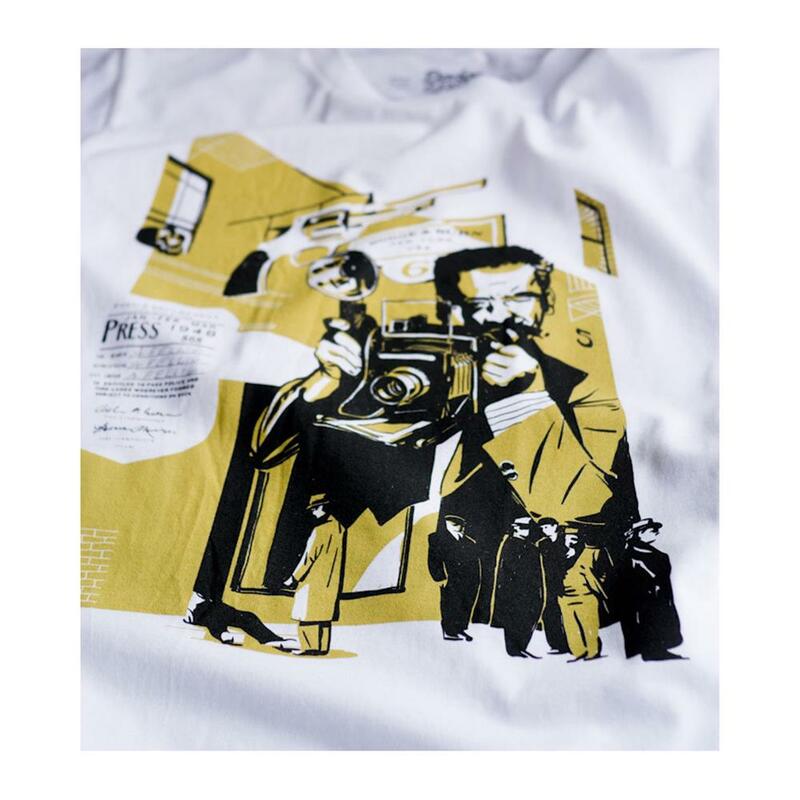 The Famous is the first installment in our new PHOTOGRAPHER SERIES of tees and comes specially printed with a custom label commemorating this great American photographer.